Nothing is more disappointing for a cabin weekend than when the weather unexpectedly turns for the worse. Maybe it’s too rainy to get out on the boat and the lake, or a snow flurry has forced you to retreat indoors with a cup of tea and a warm fire. And you might be fine with a quiet weekend inside while you watch the wind howl—except you have your entire family over and the kids are starting to bounce off the walls with boredom and you might seriously lose it. Enter the magic of puzzles. 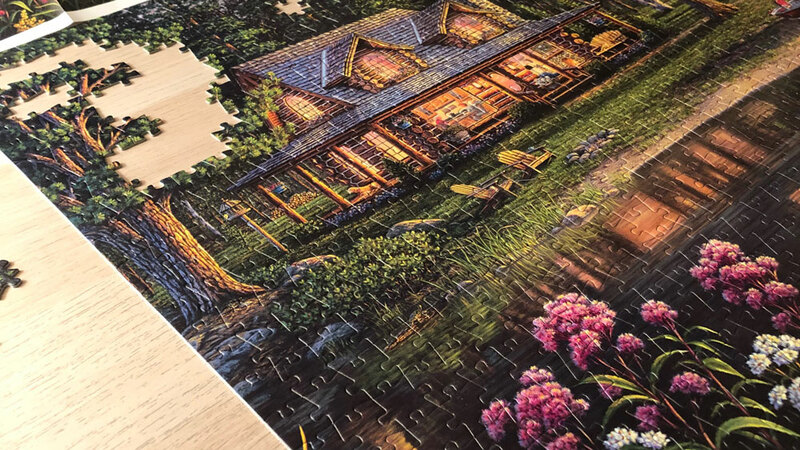 You might be saying, “Cabin Life—you really think puzzles are going to cure all of my problems?” Yes, that’s exactly what we’re saying. Puzzles are fun for all ages and keep you entertained for hours. They are great for bonding and teamwork, but also can be done in solitude. Puzzles are a stimulating mental challenge that keeps you hooked, but won’t leave you so exhausted you can’t function after a few hours of puzzling. Plus, you can easily multi-task, like listening to podcasts and music, or watching television while working on your puzzle. Both kids and adults can work on puzzles, and you can choose different amounts and piece size depending age-level and on how many people will be working on the project. 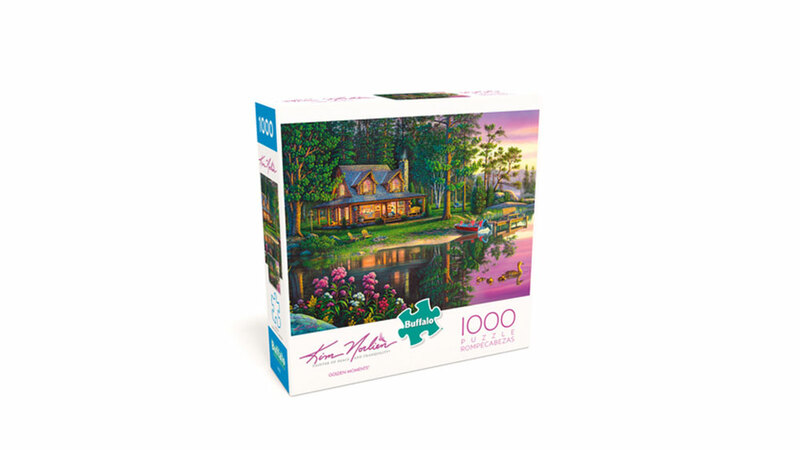 We love the idea of throwing out a puzzle and having cabin guests work on the project at their own leisure. When the Cabin Life staff took on this assignment, we didn’t realize how much we’d fall in love with this activity. It was a way to spend time with family while working our brains in a fun, challenging way. We even started to time ourselves to see how fast we could complete a puzzle (Can you beat two hours and thirty minutes on a 500-piece puzzle? Let us know!). The best part of these puzzles was that they had a cabin theme to them. 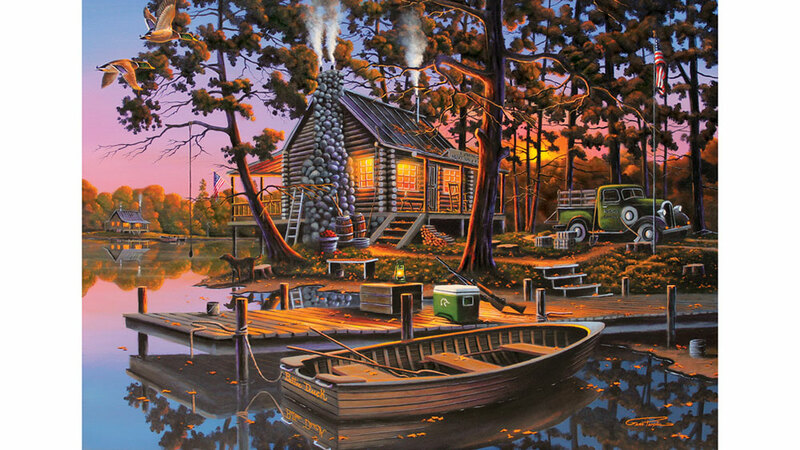 We worked on beautiful paintings filled with serene lakes, rustic log cabins, and pine trees. The pieces were well-designed and gave a satisfying snap when you found a match. And once the puzzle is finished, you can preserve your hard work as artwork for your place. Fine—puzzles might not cure ALL of your problems. But they will definitely keep you and your family happily entertained for a few hours when boredom strikes. 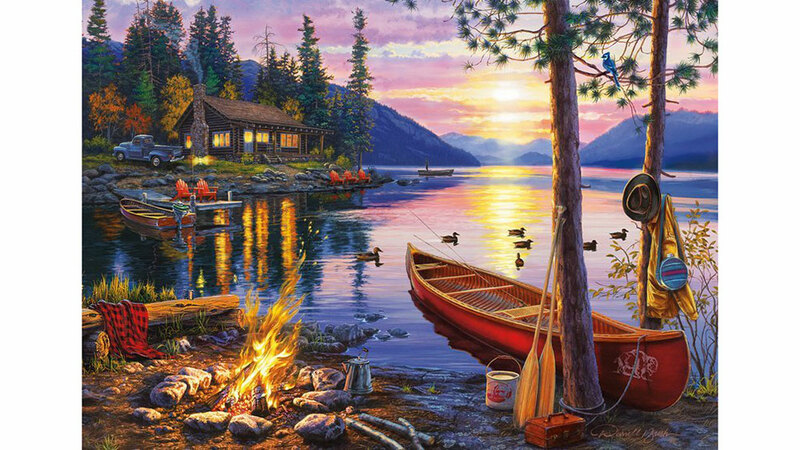 And keeping the peace, making memories and having fun is what cabin life is all about.